On the second day that we were out and about, it was just the girls. Jess and I were taken around by Toni, who was an amazing tour guide! We knew we wanted to go shopping at some point, but we were going with the flow because she had an entire day planned out for us. We took a train to Kamakura, which is the old capital of Japan. It's an old, village-ish community with awesome sites and a nice shopping area. The first thing we went to was Hokokuji Temple. It was established by Tengan Eko in 1334. Can you even imagine that time? 1334?! In the main building, pictured below, there are annual events and celebrations here because this is the building that houses the Buddha. 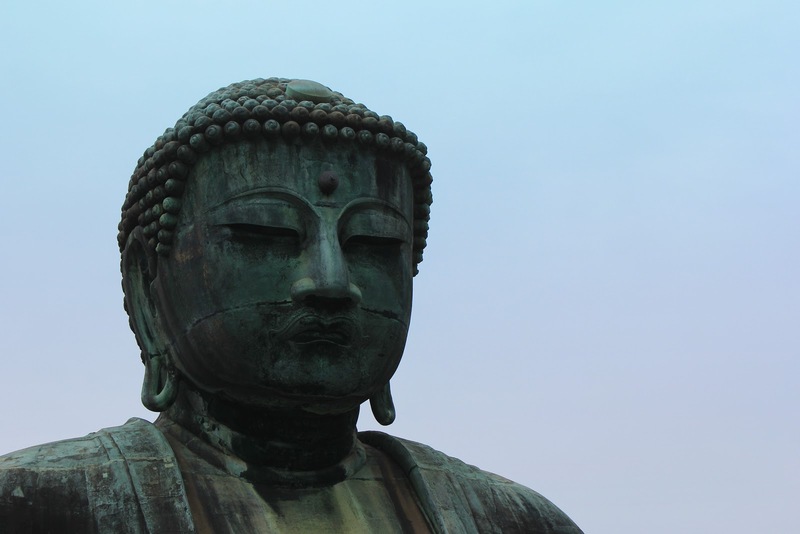 The Buddha, also known as Shakyamuni tathagata, is the main image of Hokokuji. Not the greatest picture, but we were on the move! There were a lot of tombs on the temple grounds. In the cave, or "yagura", were the remains of important people to Kamakura. 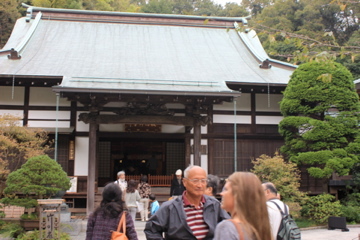 This particular yagura has a few tombs of Ashikagas, the family that Hokokuji Temple commemorates. 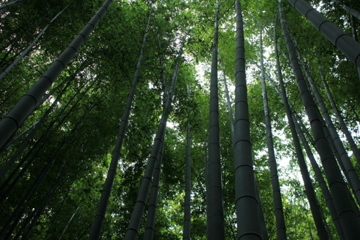 Also, there's the Kamakura Bamboo Garden. It was BEAUTIFUL! There was a path to walk through the garden and in the back was a tea-house, which was equally as delightful (...for the view, I'm not a fan of tea. Ha!) 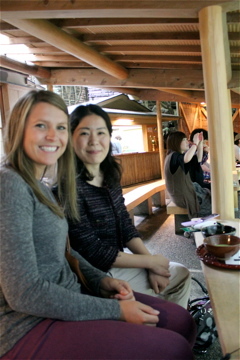 The tea-house's proper name is "Kyukoan" and means "tillage-pause retreat." After we left Hokokuji Temple, we went to The Great Buddha. Calling the Buddha "great" is a total understatement. He was HUGE!! According to my ticket, "It is a national treasure. Construction of the Daibutsu began in 1252 and continued for approximately ten years. The cost of construction were met by the priest Joko, who successfully persuaded members of the community to make necessary donations." The height, including the pedestal is 13.4m and it weighs 121 tons! Before we headed back to the hotel to get ready for dinner, we did a little shopping. At this point, Toni had turned into much more than a tour guide... she was now our friend. We had plans to do other things, but she just let us shop until we were content. We got most of our gifts that we wanted to buy and were able to see the temple that, back in the day, was the capitol building (if I remember right). While we were there, we saw two brides! Both were taking their photos in front of the temple and both were dressed in traditional attire. However, one had more "westernized" hair and the other was 100% traditional. Toni asked if we could take her picture and she sat up straight and said, "Please!" It was great! We had a really, really fun time in Kamakura. It was great to have a girls day and to see so many things that I would have missed had I been my own tour guide. The next day, day 3, I am just that... my own tour guide. Stay tuned!